Patients should be involved in decisions regarding their treatment. Many patients have rational reasons for rejecting treatment and concerns about the severe and potentially life-threatening side effects of psychotropic medications. Many patients to either discontinue their medication or to be unable to retain employment in the community, which consigns them to the vicious cycle of repeated psychiatric hospitalization. Psychiatric medications frequently cause severe side effects, some of which can be irreversible and for other patients these psychotropic medications fail to help patients. According to the National Institute of Neurological Disorders and Strokes of the National Institutes of Health, antipsychotic drugs can cause neuroleptic malignant syndrome, a life-threatening neurological disorder. Additionally, the National Institutes for Mental Health (NIMH) has found that long-term use of antipsychotic medications can cause tardive dyskinesia, a potentially incurable and disfiguring condition that causes muscle movements a person cannot control. For long-term psychiatric patients the chance of contracting tardive dyskinesia from psychotropic drugs is approximately one in four. One of the most common side effects of antipsychotic drugs is a condition known as akathisia, which is marked by uncontrollable physical restlessness and agitation and by interminable pacing, shaking of arms and legs, foot bouncing, and anxiety or panic. When this side effect occurs it is often mistaken for symptoms of mental illness itself and then even more antipsychotic medication is administered due to a psychiatrist’s erroneous perception that the signs of akathisia are symptoms of disease, the patient’s agitation and panic increase. The opposite type of side effect is akinesia, which is typified by drowsiness and the need to sleep a great deal. This effect is appreciated by those wishing to chemically restrain patients and prevent their moving around or demanding care in the middle of the night. But this allows caretakers to ignore patient’s problems and use ever increasing amounts of drugs to achieve the desired ends. This is not treatment of the underlying disease but instead forced drugging for the convenience of the caretakers. 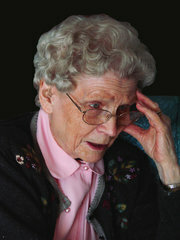 In addition, polypharmacy, which is the prescribing for a single person of more than one drug of the same chemical class (such as antipsychotics), is widely practiced despite little empirical support, and can result in serious adverse reactions and intensified side effects and can lead to early death. 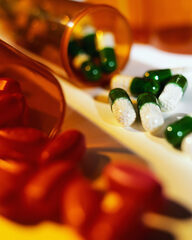 The Food and Drug Administration or FDA is the agency charged with protecting the safety of consumers. Hundreds of cases have been brought in the last several years against pharmaceutical companies arising from deaths and injuries attributed to drugs used to treat psychiatric disorders. The most urgent warnings are those known as “black box” warnings, in which drug companies are required to (or voluntarily) post warnings in bold black print in a bold black box. These warnings appear in the Physician’s Desk Reference and in the package inserts for the drugs, which doctors are presumed to read. The black box warnings of Luvox included the possibility of violent behavior including homicidal thoughts. Many of these drugs act upon Serotonin or 5-hydroxytryptamine (5-HT) which is a neurotransmitter. It is found in the gastrointestinal tract, in blood cells (platelets) and in the brain and spinal cord (central nervous system). It is known to affect the feel of well-being and happiness and can affect mood, appetite and sleep. Serotonin has an effect on memory and learning. Serotonin is a neurotransmitter that affects the brain and plays a role in aggression, pain, sleep, appetite, anxiety, depression, migraine, and vomiting. Several different classes of psychiatric drugs like anti-depressants, anti-psychotics, anti-anxiety drugs, anti- migraine drugs and psychedelic drugs affect the level of this neurotransmitter inside the neuro-synapses of the brain. SSRIs act on the brain to raise levels of the neurotransmitter serotonin without raising the levels of norepinephrine. This was thought to be a benefit in treatment of depression, and later anxiety, panic, social phobia, obsessive- compulsive disorder (OCD) , and many other conditions. However when considering risk vs benefit of these drugs, research has shown that these SSRI drugs do not produce clinically significant improvements in depression in patients who initially show moderate or even severe depression. They show statistically significant but clinically minor effects only in the most severely depressed patients. Drugs such as tricyclic antidepressants (TCA’s) and selective serotonin reuptake inhibitors (SSRIs) inhibit the reuptake of serotonin, making it stay in the synapse longer. The benefits derived by these drugs may decrease in selected patients after a long-term treatment. Serotonin syndrome is a medical consequence of these kinds of psychiatric drugs. Serotonin syndrome which can also be called serotonin toxicity is really a poisoning and is the predictable consequence of excess serotonin activity in the brain and elsewhere in the body which can be caused by therapeutic use of these medications. No laboratory tests can currently confirm the diagnosis and it is usually diagnosed base on the patient’s symptoms and clinical history. Serotonin syndrome may be mistaken for a viral illness, anxiety, neurological disorder, various kinds of poisonings, or a worsening psychiatric condition. The Serotonin syndrome presents characteristic clinical signs but can be mistaken for the more dangerous and life threatening neuroleptic malignant syndrome. This presents as twitching, tremors, rigidity, fever, confusion, or agitation. Serotonin/norepinephrine reuptake inhibitors (SNRIs) also may cause serotonin syndrome by interactions. Most tricyclic depressants do not have these interactions, with the exception of amitriptyline. Tapering off very, very, very slowly has proven the safest and most effective method of withdrawal of psychiatric medications. When discontinuing or withdrawing from a psychiatric medication that affects the brains serotonin level, a dangerous situation can occur a condition called the "SSRI Discontinuation Syndrome." When serotonergic activity dramatically decreases because the neurons aren't able to communicate properly with each other anymore. As a result of this decreased serotonergic activity, side-effects occur. Sometimes these side-effects are reported by the patient as feeling like electric shocks, zaps or shivers in the head (brain) or sometimes like “pins and needles” in the skin or like a light flickering in his/her head. These symptoms are sometimes so severe that the patient feels confused or like on the verge of blacking out or losing consciousness. These sensory disturbances may make the patient feel very confused and may involve short periods of short-term memory loss or absences. These absences are actually petit mal seizures which may be invisible to the observer and not recognized as epileptic activity. This is an effect of the withdrawal of the prescribed drug itself - not a symptom of mental illness. It is caused by the drug. Neruoleptic Malignant Syndrome or NMS is a rare, but life-threatening, idiosyncratic reaction to a medication which can be fatal. NMS is caused by both 1st generation and 2nd generation neuroleptic medications, atypical anti-psychotics (clozapine, olanzapine, risperidone, quetiapine, ziprazidone), butyrophenones, phenothiazines, dopamineric drugs and lithium. 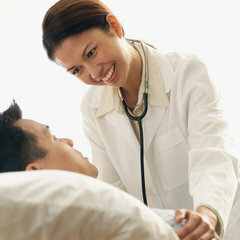 The syndrome is characterized by fever, muscle cramps, unstable blood pressure and muscular tremors. Neuroleptic malignant syndrome (NMS) causes changes in mental status, difficulty thinking, agitation, delirium and even coma. NMS causes an extremely high temperature, profuse sweating, severe muscle rigidity, increased respiratory rate and increased heart rate. Altered mental status can be either agitation or lethargy. This is a truly life threatening emergency requiring emergency treatment. Treatment involves immediate withdrawal from the medication and immediate supportive care usually in an ICU with IV fluids. Correction of electrolyte abnormalities and treatment for metabolic acidosis is necessary. Agitation can be controlled with benzodiazapines, and a drug to lower dopamine levels (dopamine agonist) can be used. High blood myoglobin levels can damage kidneys. Because NMS is fairly rare, it may not be recognized immediately thus delaying treatment. Persons presenting with NMS can have muscle rigidity, an elevated white blood count, an elevated creatine phosphokinase - CPK blood level and bradykinesia (an inability to adjust one's body position). Patients may experience a hypertensive crisis and metabolic acidosis. If recognized and treated immediately then only 10% of patients will die, however if not treated early death rates can be as high as 38% of cases. Symptoms may be confused with the symptoms of mental illness thus doctors may erroneously prescribe higher doses of medication thus worsening the NMS - this can delay proper treatment and can lead to death. Men under 40 years old are more likely to get NMS. Memory impairment is a consistent temporary effect of NMS and can sometimes persist after recovery. One clear outcome of the use of the antipsychotic drug Abilify is tardive dyskinesia. Tardive dyskinesia is a difficult-to-treat and causes the patient to have in involuntary, repetitive body movements that started some time after starting the medication. The only way to prevent tardive dyskinesia is to not give these medications to the patient. It frequently appears after long-term or high-dose use of antipsychotic drugs. Tardive dyskinesia is characterized by repetitive, involuntary, purposeless movements, such as grimacing, tongue protrusion, lip smacking, puckering and pursing of the lips, rapid eye blinking and rapid finger movements. To knowingly force someone unnecessarily on medications that cause this outcome could surely be considered cruel and unusual punishment or even torture – because life with tardive dyskinesia is daily torture. Tardive dyskinesia is often misdiagnosed as a mental illness rather than a neurological disorder, and as a result patients are prescribed more drugs which increase the probability that the patient will develop this disabling disability. In such cases, it is critical to properly identify the signs of the disorder and stop drugs as soon as possible. These drugs have a tendency to mask the very symptoms they are causing, thus making it more difficult to determine what the problem is. There are also long term affects of these drugs called tardive dysmentia and tardive psychosis which are debilitating conditions caused by these medications. But doctors often blame the patient for these problems and attributing symptoms to the underlying condition and not to the medications own effects. Tardive dementia is caused by long-term use of the neuroleptics resulting in a depressive condition similar to NIDS that involves the frontal lobe of the brain. In some individuals, it seemed that long term treatment with neuroleptics was more likely to affect emotional centers in the human brain, and patients were seen to develop dramatic or euphoric mood swings and this was called tardive dysmentia. This is an inner restlessness and anxiety that many patients describe as the worst sort of torment. This side effect has been linked to assaultive, murderous behavior. This video is when the patient's myoclonic jerks became to much to handle. They were worse a few hours earlier resulting in convulsing on the ground like a severe seizure. He started having parkinsons like movement a week after he started the lowest dose of Symbyax (6mg/25mg). The warnings about Symbyax include akathisia which classified as just restlesness. He stated that he wasn't quite prepared for chorea like uncontrolled movements, extreme stuttering, no cognitive thought process and nearly the complete inability to control all motor functions. It started 5 days after taking just one doze of fluoxetine (prozac 20mg) with the sudden onset of jerking movements then followed by intense fear resulting in contemplating suicide and losing touch with all reality. He was experiencing also hallucinations and dementia/ This was most likely caused by the Prozac itself and the rest of the time was the effects of the antipsychotic Zyprexa or olanzapine. The next days were better and he thought it would stop but when the seizure-like movements started this morning he was taken to the ER. The antipsychotic Clozapine can cause fatal blood problems as well as other side effects of serious concern. Clozaril, which is effective second-generation antipsychotic medication, can cause agranulocytosis, a potentially fatal blood disorder in which the drug triggers a sudden severe deficiency in the number of white blood cells. Clozaril (clozapine) is a drug which was known to be associated with fatal cases of aplastic anemia which causes low white blood cell counts and predisposes patients to infections. Clozapine has also been linked to high blood sugar and diabetes. Doctors are supposed to watch for unexplained fever, fatigue and low energy levels in patients taking Clozaril. Clozaril has been strongly associated with possible fatal heart problems. [Presto v. Sandoz, 226 Ga. App. 547 (1997)]. For this reason, administration of Clozaril requires frequent blood testing and monitoring, and the drug is typically used as a treatment of last resort. "It is easy to think the State has a lot of different objects -- military, political, economic, and what not. But in a way things are much simpler than that. The State exists simply to promote and to protect the ordinary happiness of human beings in this life. A husband and wife chatting over a fire, a couple of friends having a game of darts in a pub, a man reading a book in his own room or digging in his own garden -- that is what the State is there for. And unless they are helping to increase and prolong and protect such moments, all the laws, parliaments, armies, courts, police, economics, etc., are simply a waste of time." Stimulants are designed to enhance dopamine transmission. Atypical antipsychotics are intended to block it. Mental health professionals have an ethical duty to inform parents about the potential lethality of drug combinations as well as adverse effects of individual drugs such as the combination of both an antipsychotic with a stimulant. The use of stimulant plus atypical antipsychotic places the patient at risk of sudden death due to stroke or dysrhythmia (heart arrhythmia); neuroleptic malignant syndrome; tardive phenomena (irreversible movement abnormalities of face, tongue, neck, limbs, trunk); and diabetes. In one sense, the pharmacodynamic effects of stimulants plus antipsychotics would be expected to oppose each other. 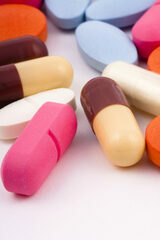 In another sense, the brain’s adaptations to each class of medication might be synergistic. This enhances the risk of movement abnormalities, dysphoria (an emotional condition in which a person experiences intense feelings of depression and discontent) , and psychosis. There are neurotoxiceffects of use of stimulants and antipsychotics together; the dangers include the inhibition of neurogenesis and the induction of neurodegenerative changes. In other words, they prevent the healing process and can cause permanent brain damage and dysfunction.